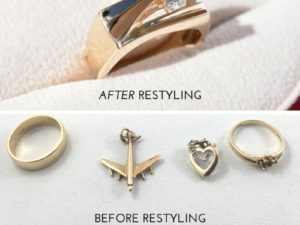 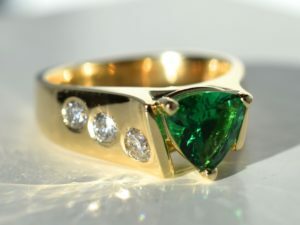 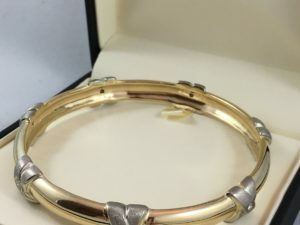 Reusing your gemstones, gold and jewellery can be an excellent way to, not only save on material costs, but, also, to retain the sentimental connection with your old jewellery. 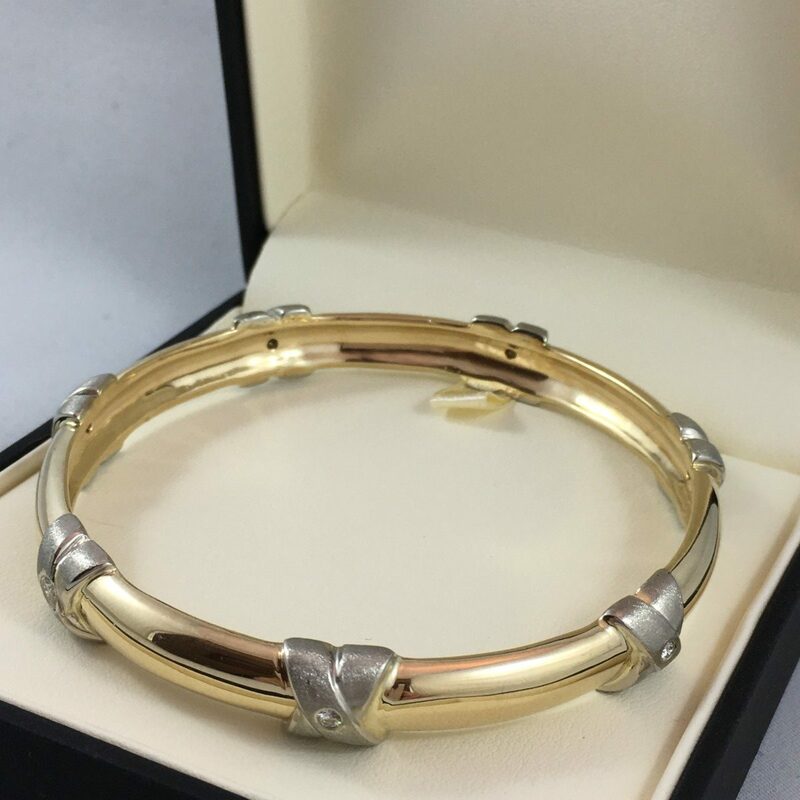 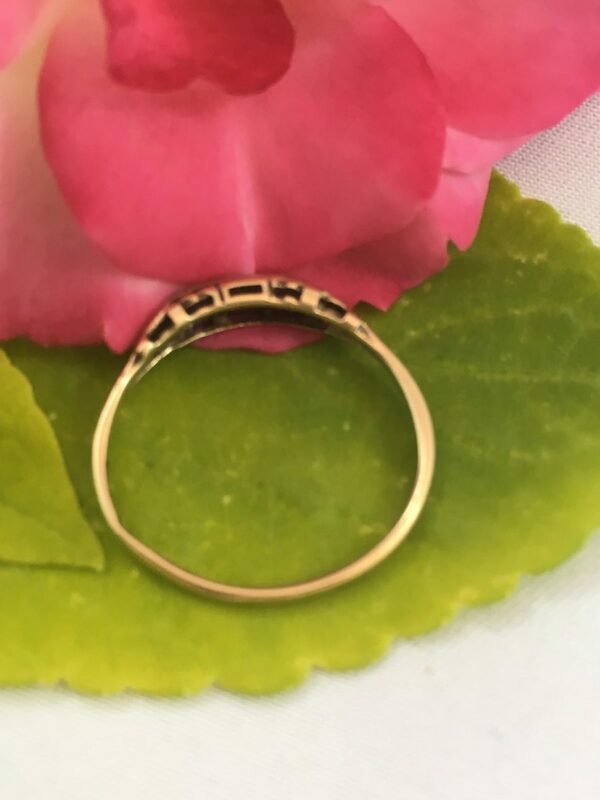 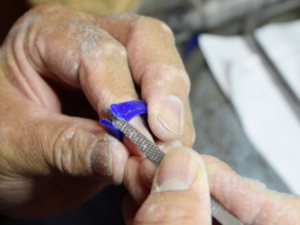 At Omori Diamonds we specialize in a streamlined custom jewellery process and there are many times when we incorporate a client’s gold or diamonds from a family member’s wedding ring into their new piece of jewellery. 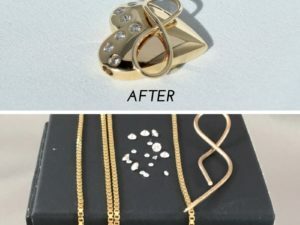 Here’s a few examples of some recent projects of ours where we have used a client’s jewellery to breathe new life into an exciting design. 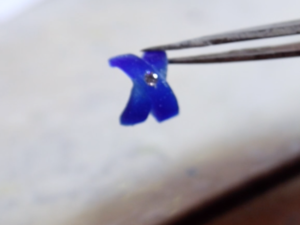 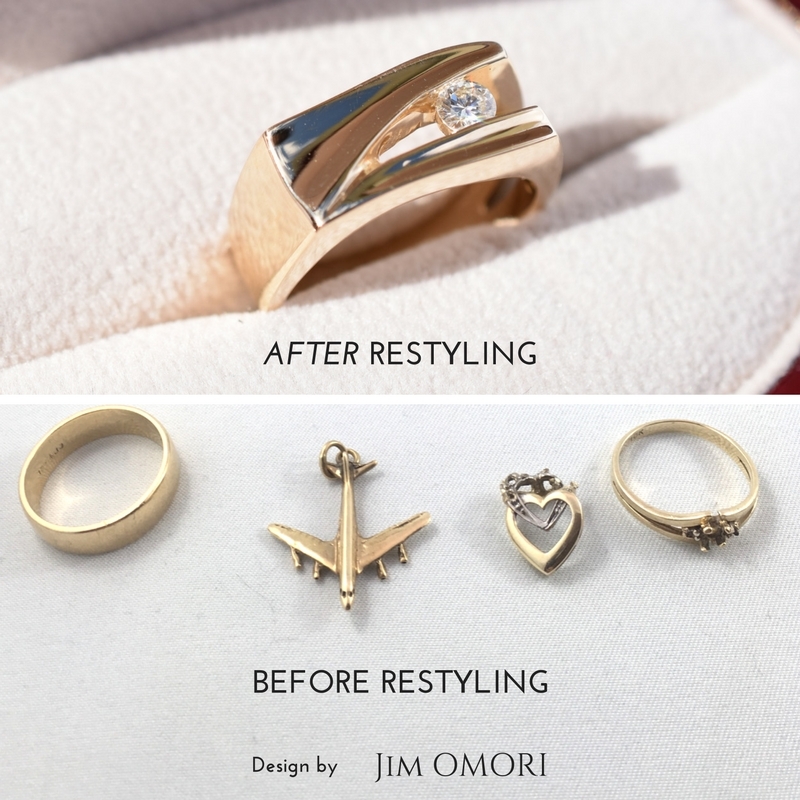 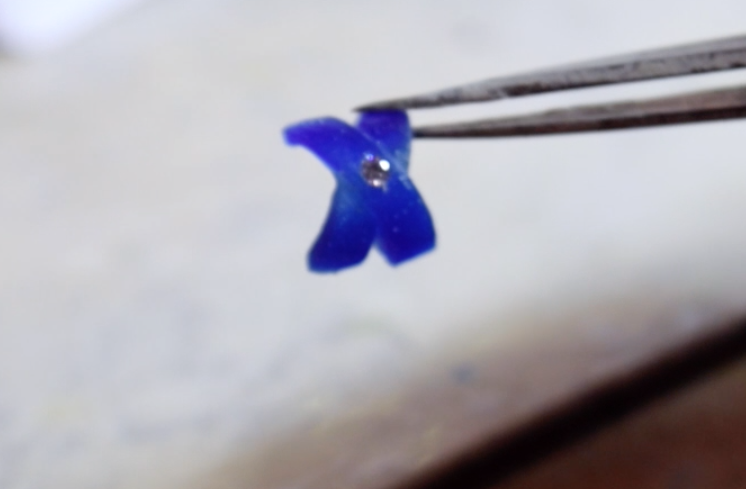 Reuse and Restyle your gold and gems from Omori Diamonds on Vimeo. 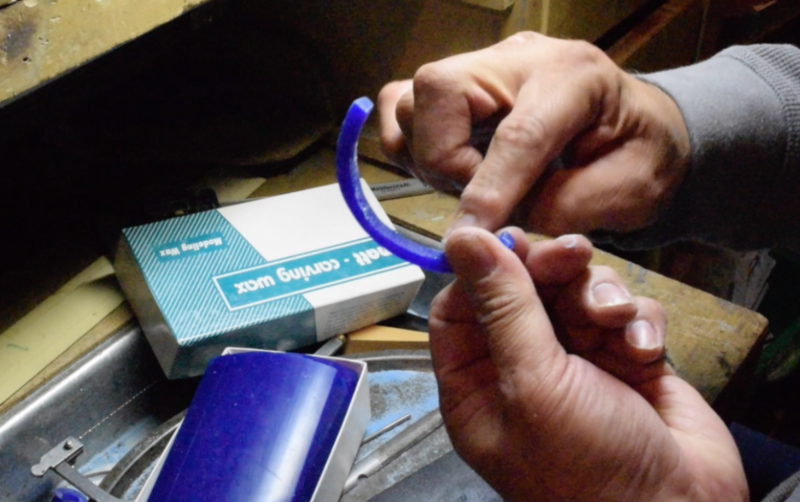 First we discussed ideas with the client. 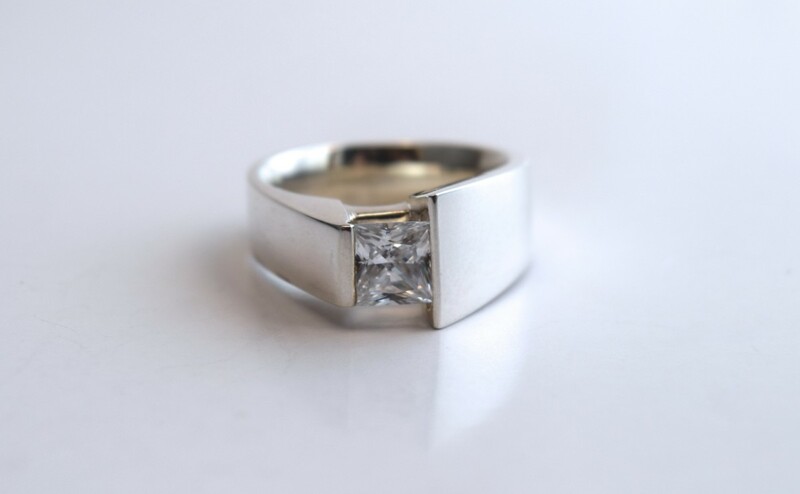 She decided on a variation of a pre-existing Omori design which featured a princess cut diamond with an asymmetrical band. 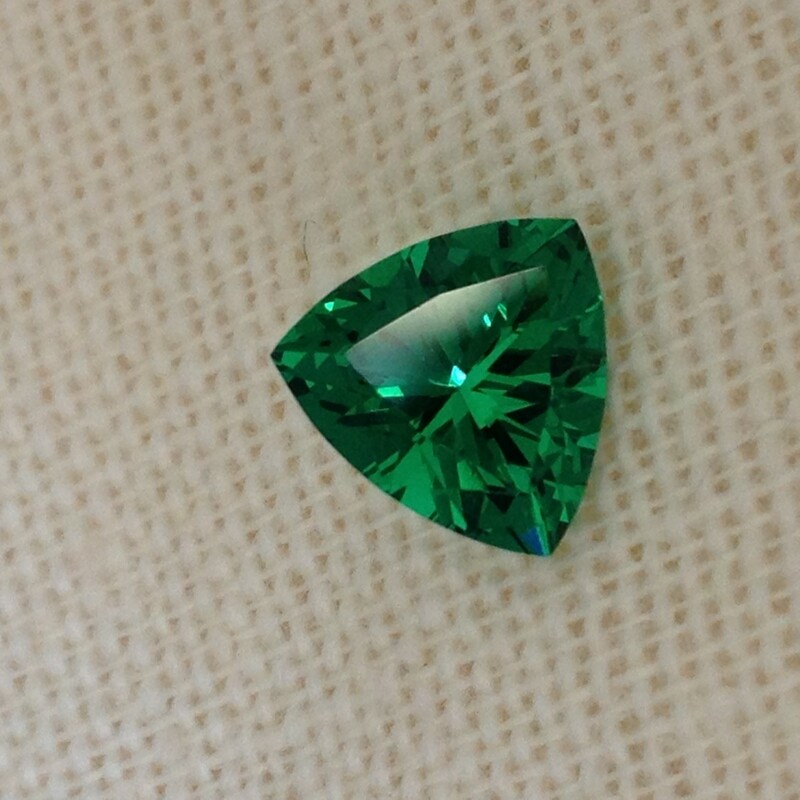 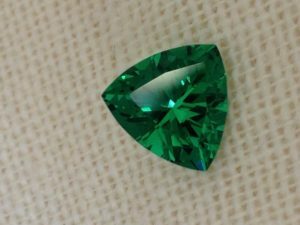 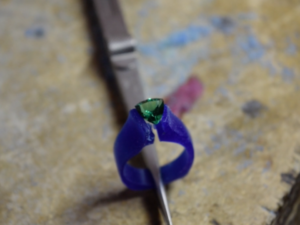 The client wanted to use a green trillion/triangular shaped gemstone for the design instead of the princess cut diamond. 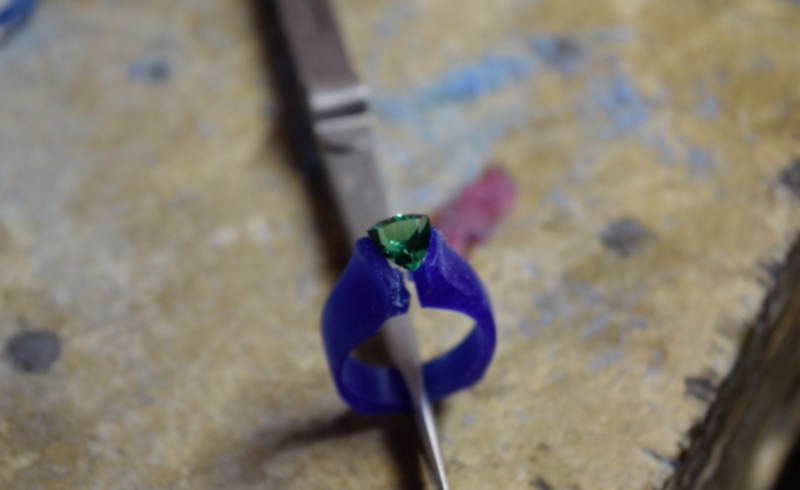 We then carved a new wax based on the asymmetrical band, taking special care to modify the setting so that it would match the trillion stone that she wanted. 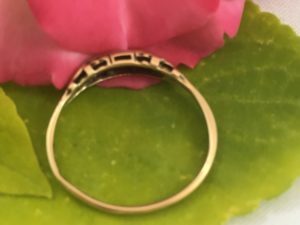 Then we made use of her old gold jewellery, including her mother’s wedding band. 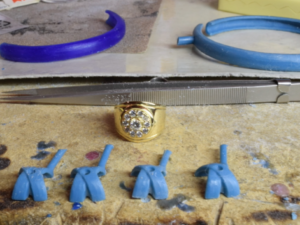 Finally, after the client’s approval of the finished wax, we finalized the design by casting it in her gold and setting her gemstone. 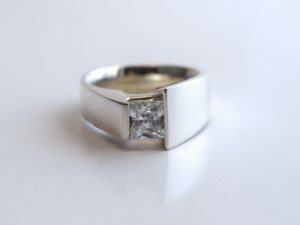 It turned out beautifully and she was extremely proud! 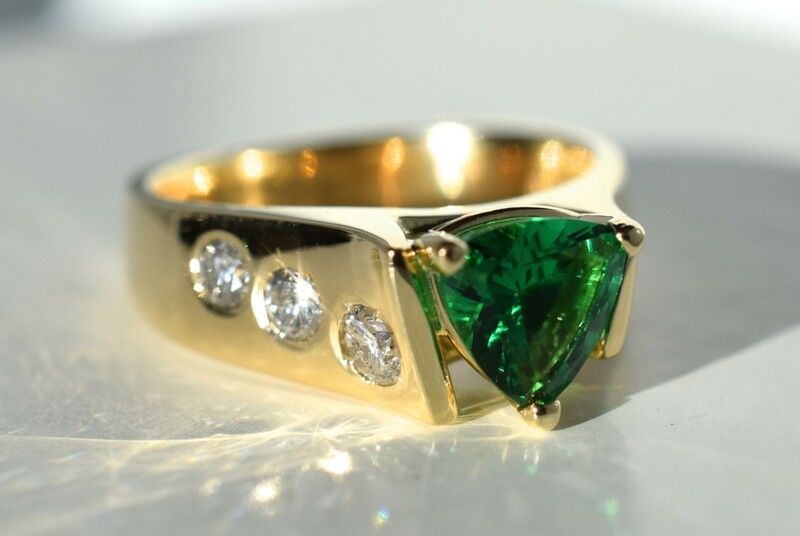 This is another design that we created making use of a client’s gold and diamonds. 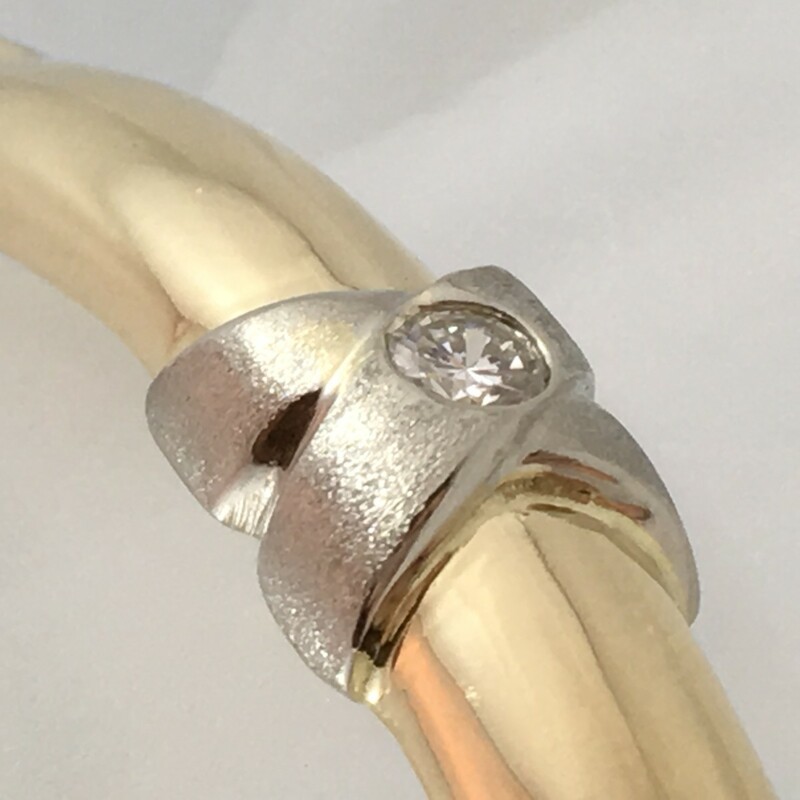 In this case we created a custom bangle bracelet featuring some diamonds that she had in a ring. 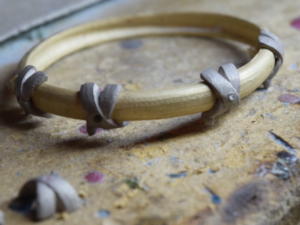 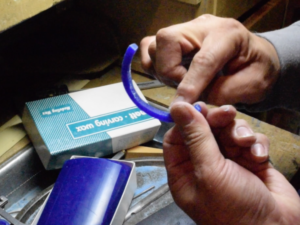 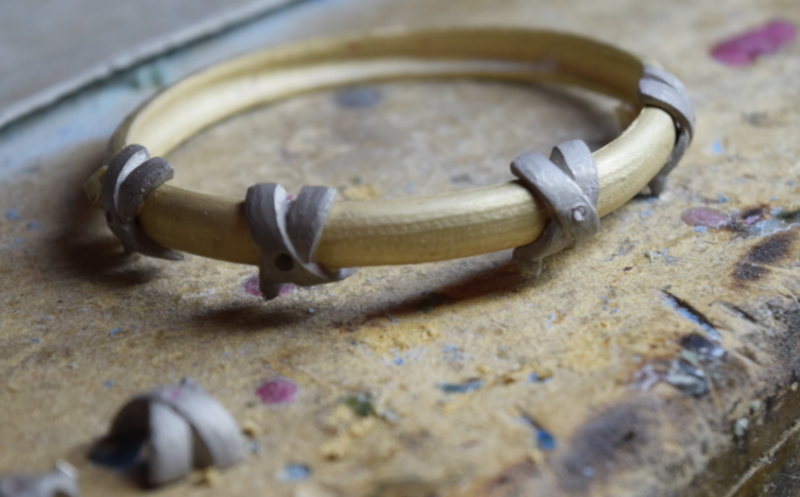 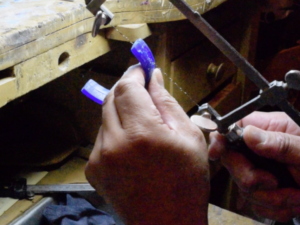 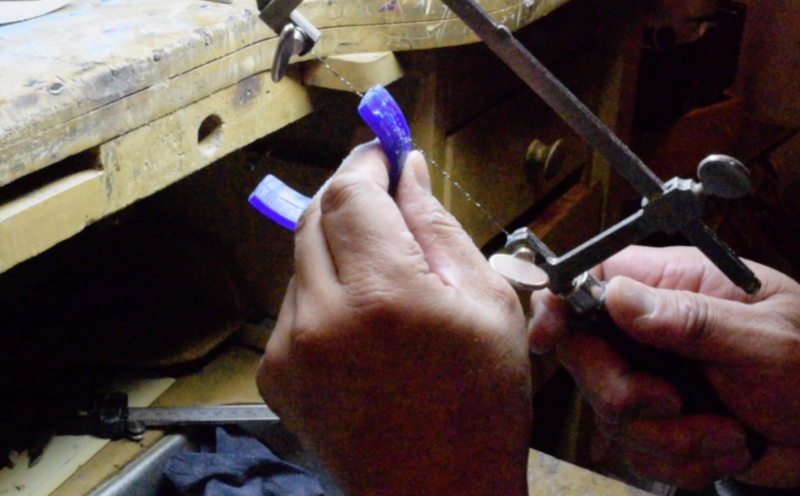 First, we hand carved the shape of the bracelet,out of wax, to match the exact measurement of her wrist. 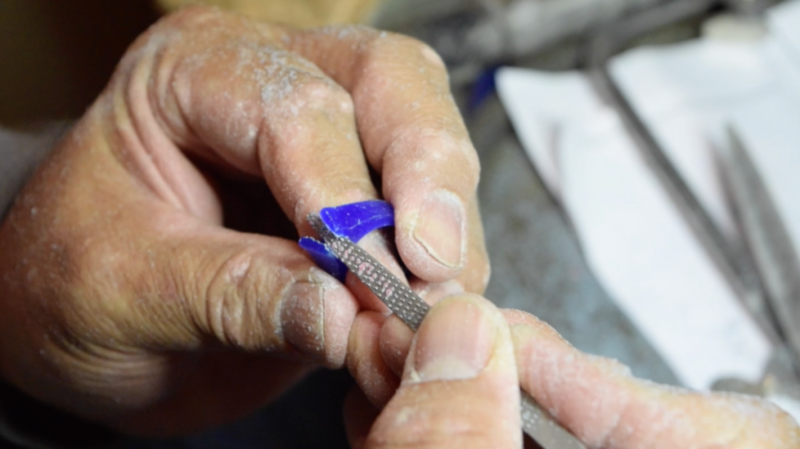 Then we carefully hand carved the stylized “X” shapes which would decorate the bracelet and feature the diamonds from her ring. 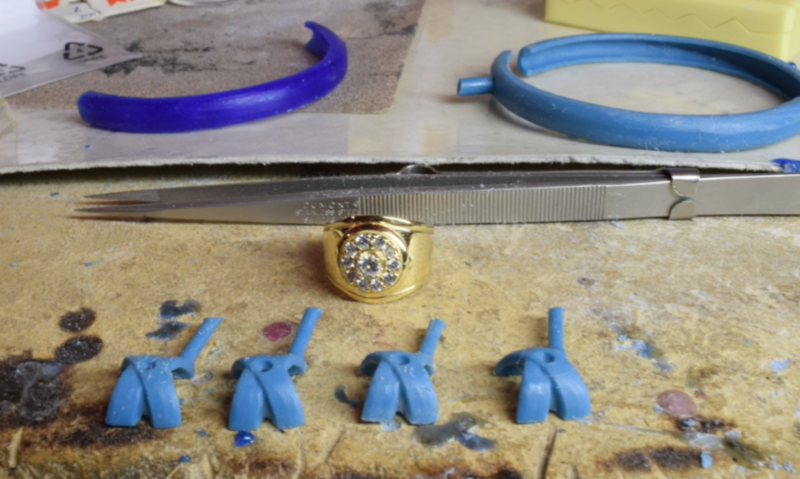 After showing the client the wax model and receiving enthusiastic approval we had the design cast in yellow and white gold. 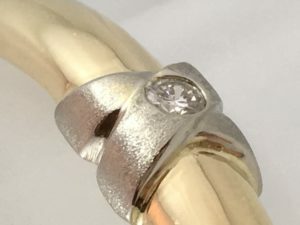 We then polished the design and set her diamonds perfectly into place. 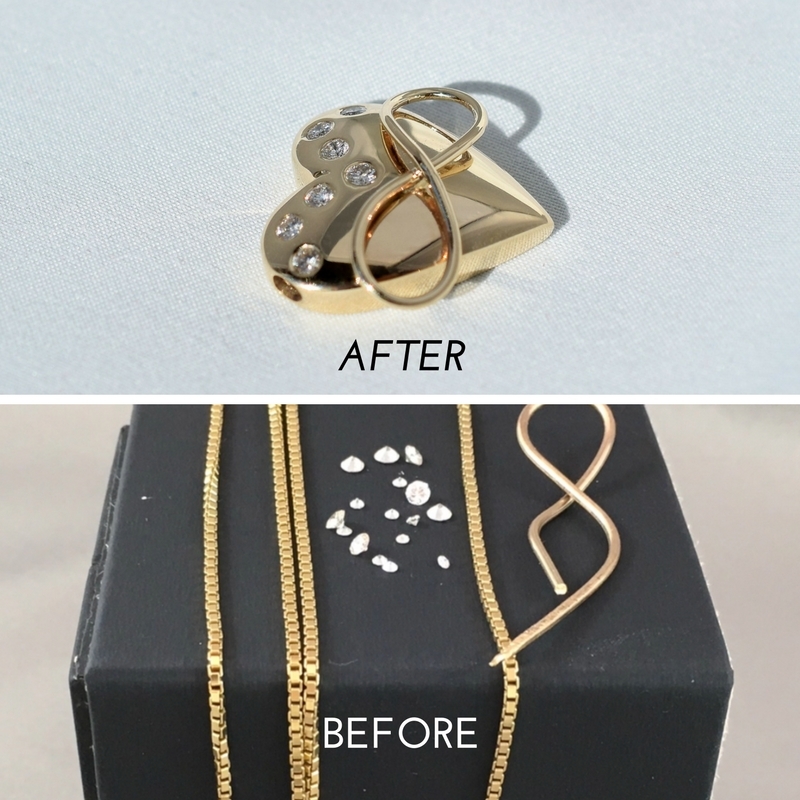 The final result turned out perfectly and the client was very happy and proud of her new design.